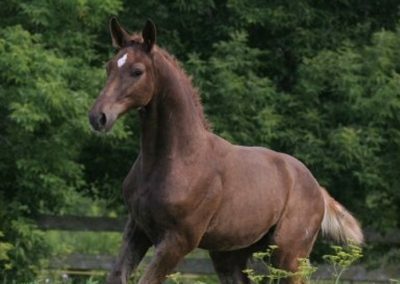 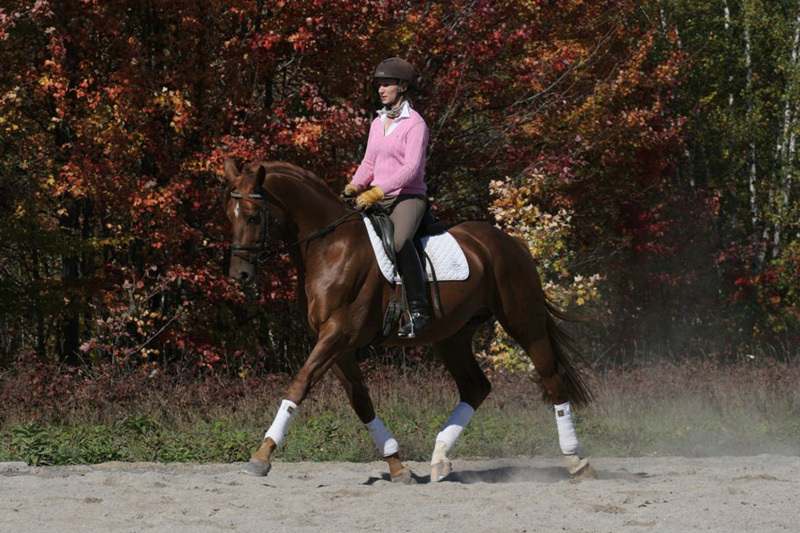 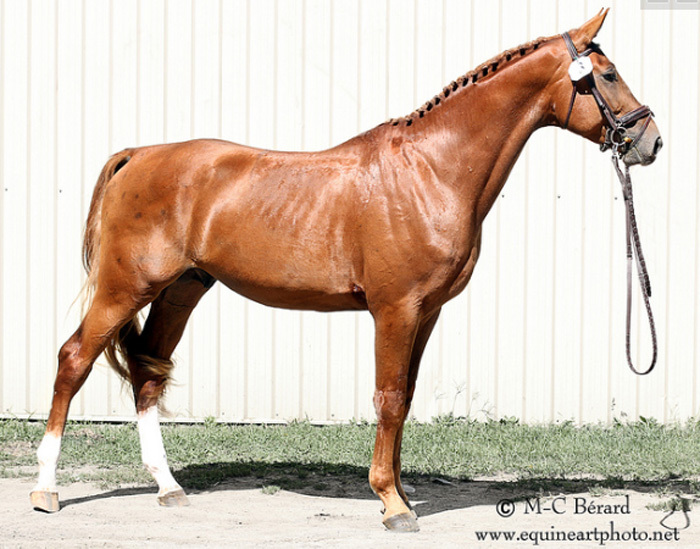 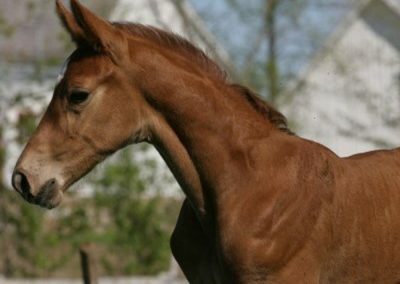 Radieux FMB is a 2008 chestnut Hanoverian Verband stallion by Rotspon (Rubinstein / Argentan) out of our mare Sanna (Sandsturm / Gardeoffizier / Winkel). 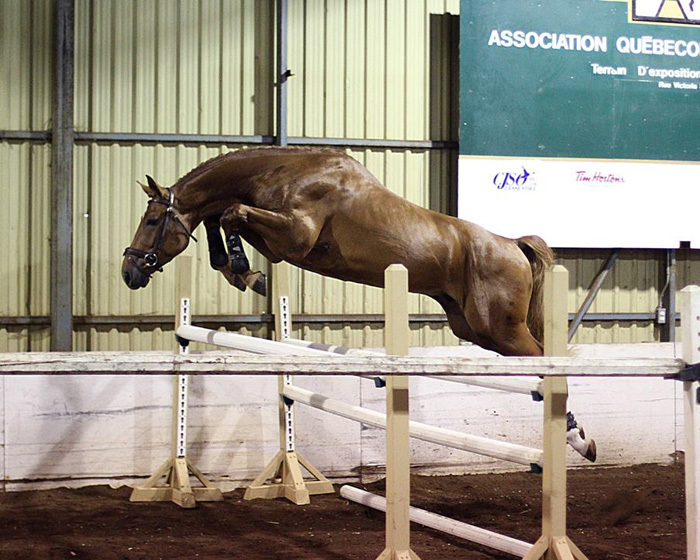 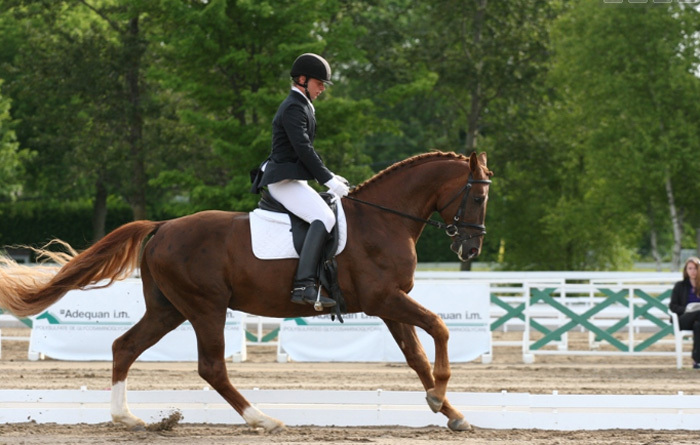 Radieux proudly received his breeding license in the Fall of 2011 with the Oldenburg NA, boasting the highest score across Canada (220.5pts) including an 8 for his jumping ability. 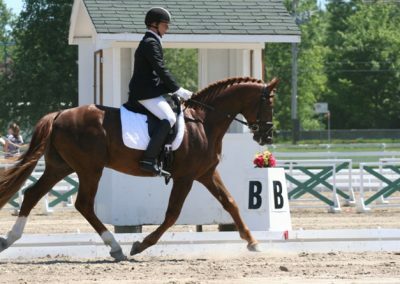 The judge found his rideability was incredible for his age. 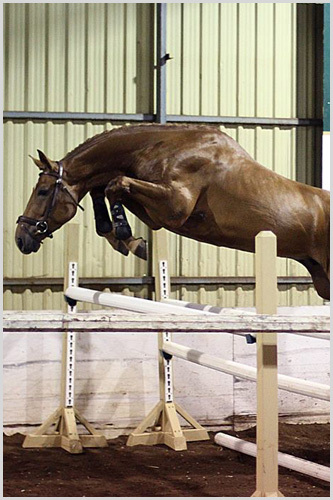 Radieux FMB has a super temperament and is suitable for all disciplines. 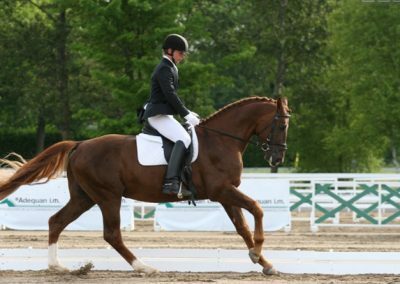 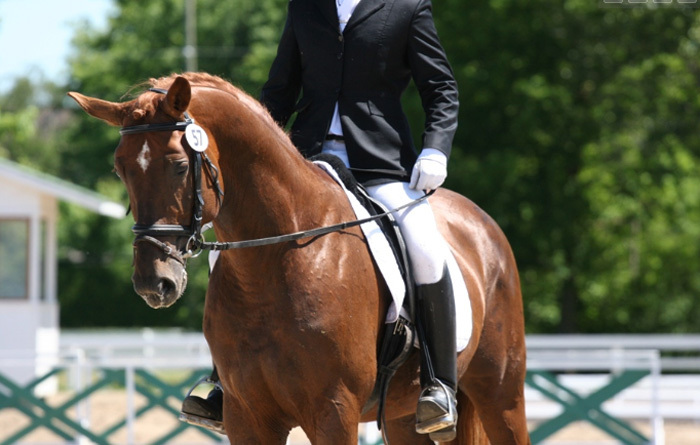 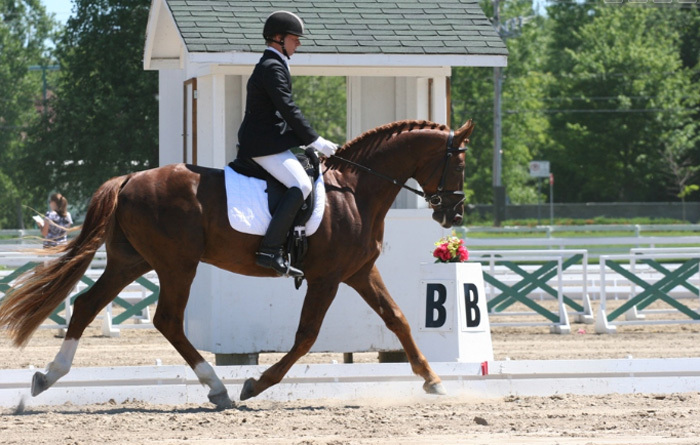 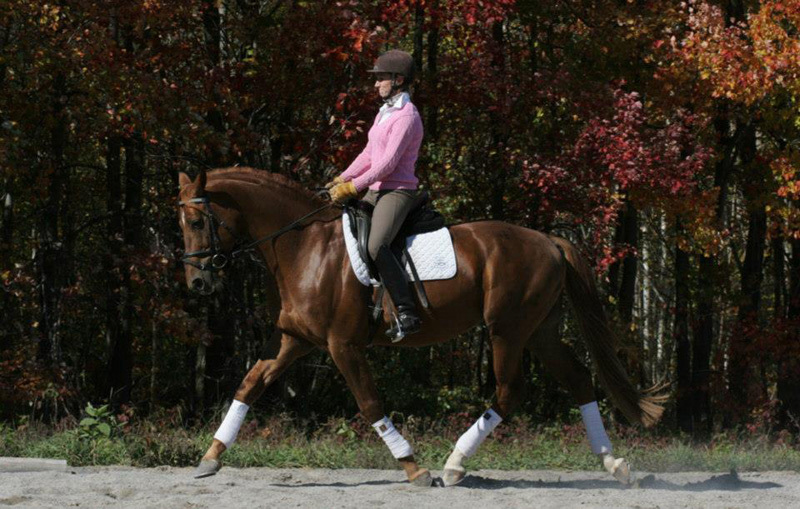 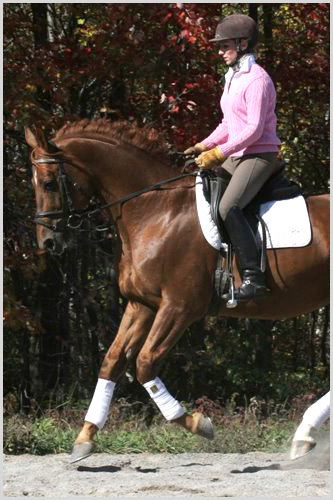 Radieux’s sire, Rotspon, is another top quality son of the dressage stallion Rubinstein I. 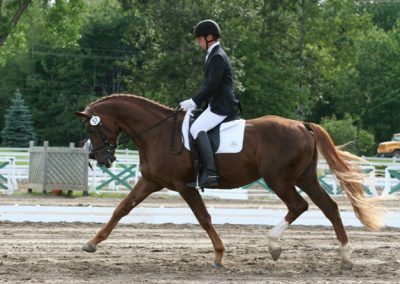 He was the sovereign winner of the stallion performance test in 1998, scoring an excellent 148.82 points in the dressage category. Like his father, Rotspon is a very impressive horse with a great rideability, outstanding movements and a high ability for dressage. 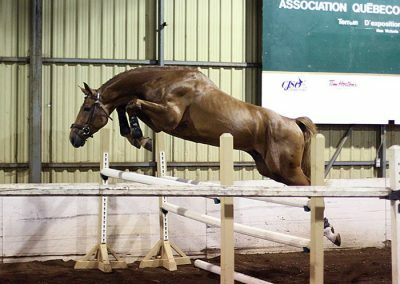 He also has a good jumping technique which is highly above average. 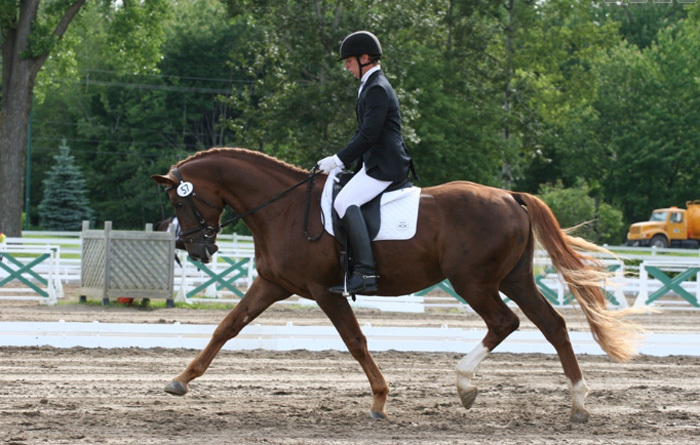 He is an elegantly made sire in a noble black coat with a lot of expression and appearance. 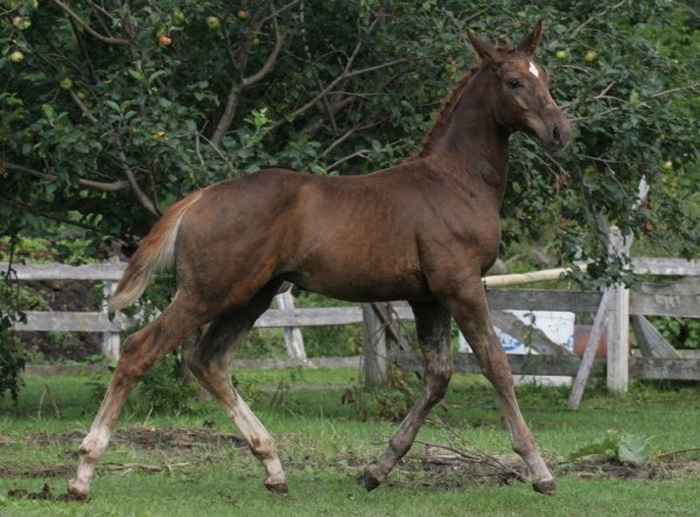 The first offspring of Rotspon were born in the year 2000. 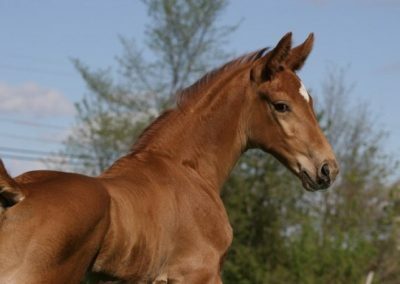 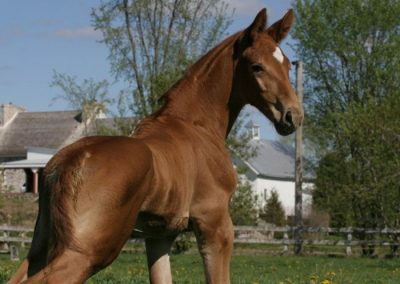 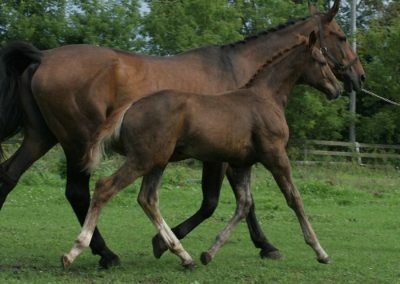 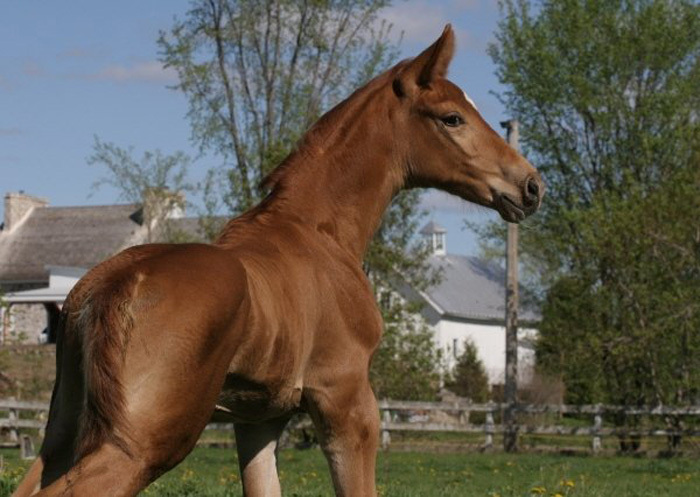 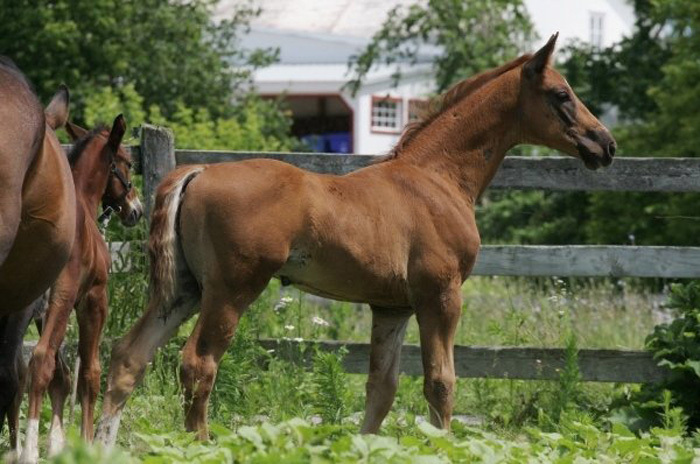 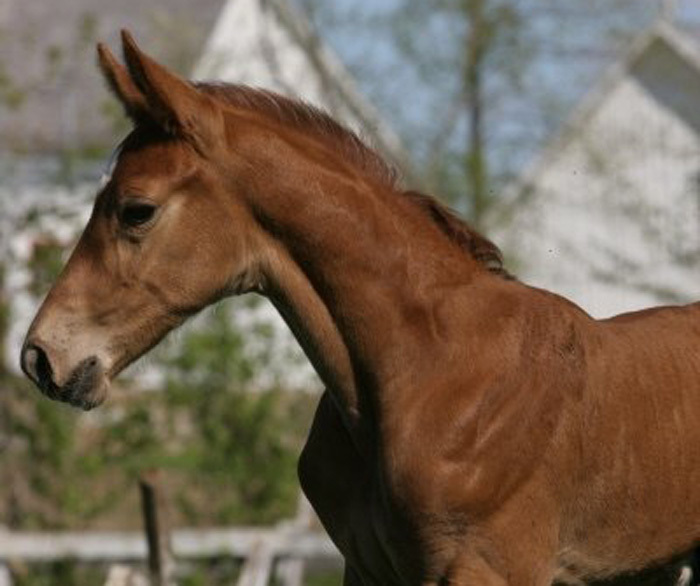 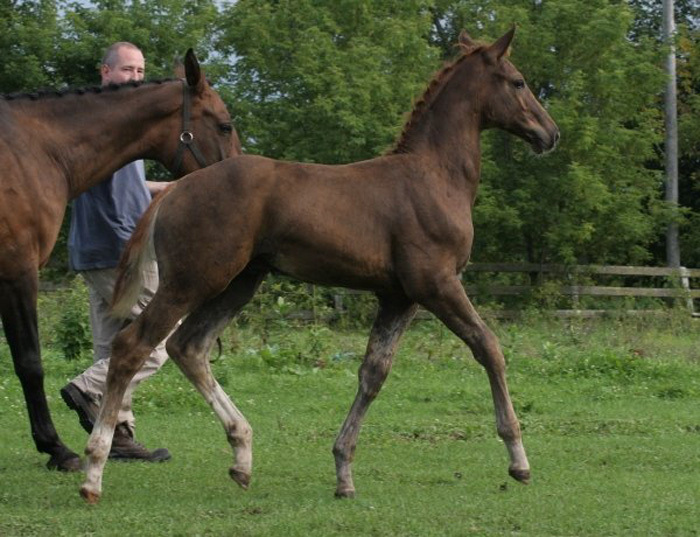 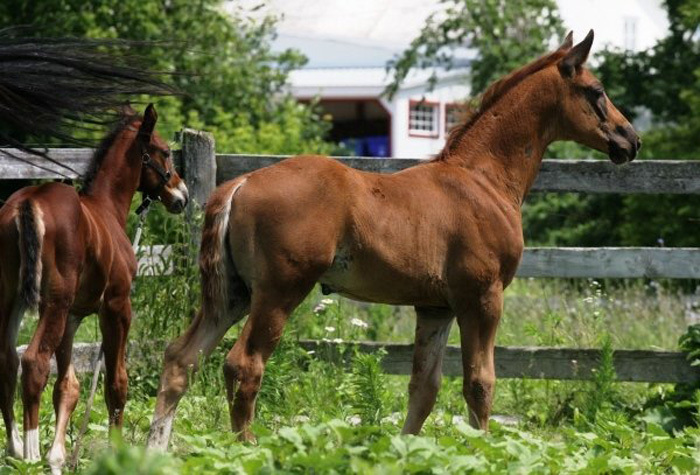 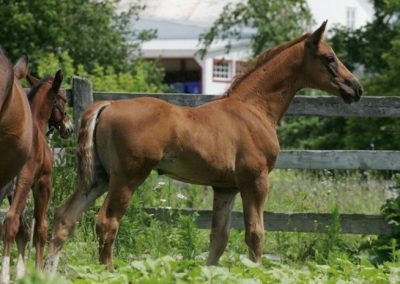 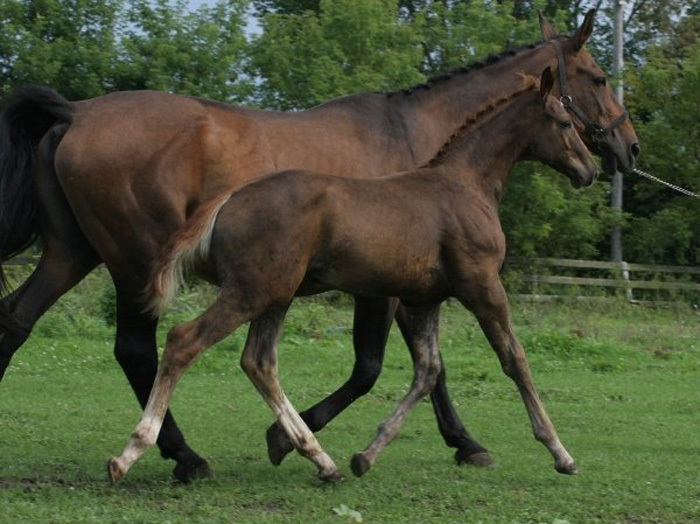 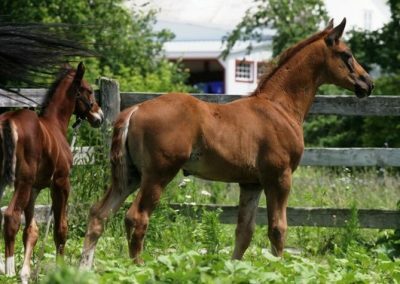 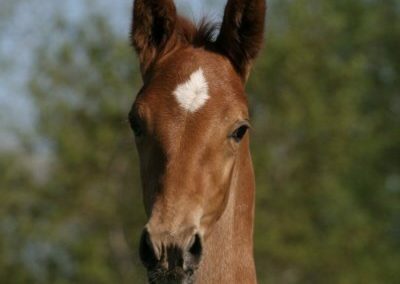 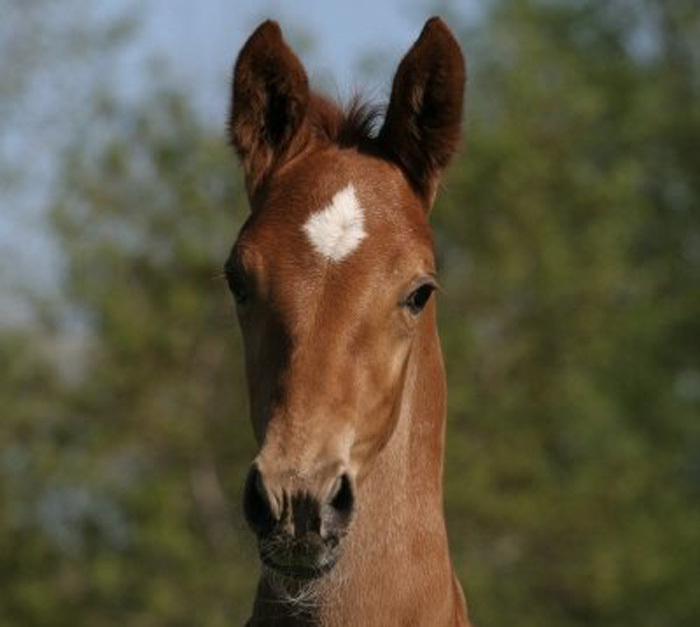 The foals have beautiful heads and a good conformation (long sloping shoulder, long well set up neck). 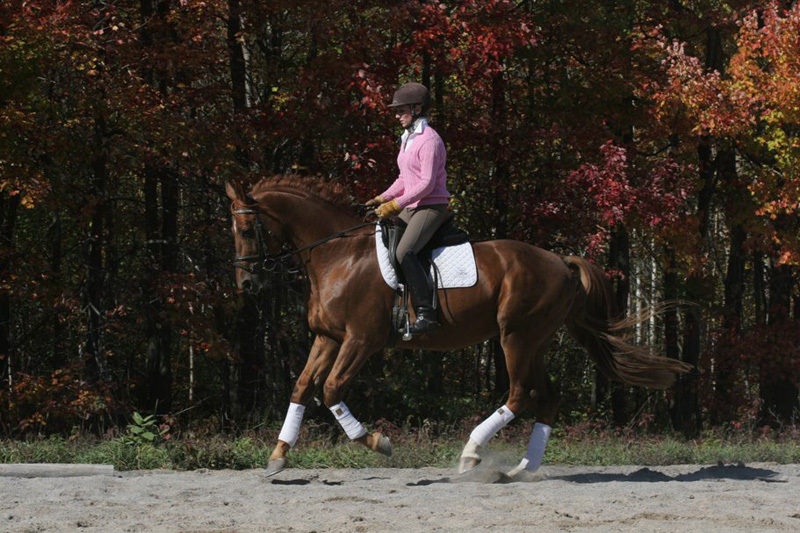 They are equipped with a very elastic trot and a ground covering walk, and have been very much in demand. 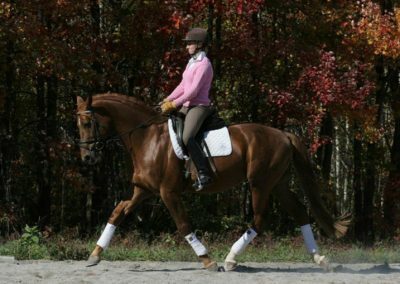 At the prestigious Ratje Niebuhr-Show of 2002, Rotspon was the second most successful sire represented, with only his first crop. 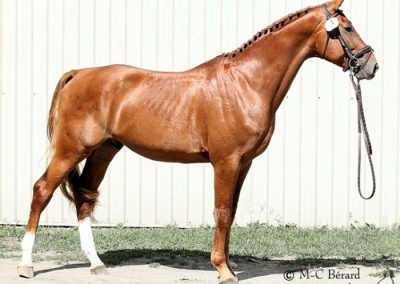 Both the two and three year old classes were won by his daughters, with the two year old becoming the youngest champion in the show’s history. 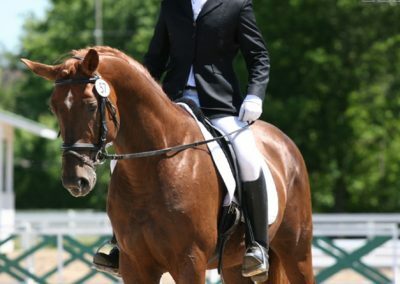 Rotspon has begun creating his own branch of the Rubinstein I dynasty with many approved sons and daughters, as well as high-priced auction horses and stellar performance horses. 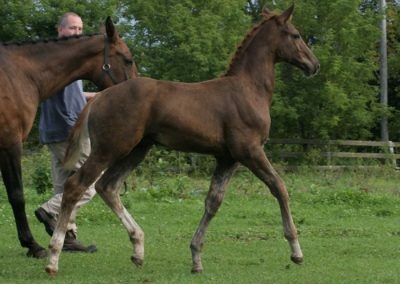 In 2005, Rotspon received a Breeding Value Index of 155 points, with an assurance of 97% heritability, from the German Equestrian Federation.